Over the past several years, the Pac-12 Rowing Championships have been a parade for the Washington Husky men's squad, while Cal have led the way on the women's side. This year, one of those trends continued—the other, not so much. That's not to say that the competition wasn't typically close and hard fought, but while we've grown accustomed to the depth of the Washington Huskies translating to the higher level boats, this year UW's top-end speed may not be what it has been over the past five seasons of dominance at the regional and national (and even international) level. This year, the Husky men kicked off the racing with a victory in the varsity four, but an intense battle in the frosh eight saw the Golden Bears edge the huskies by just 0.07 in a photo finish—the Bears later backed that up with wins in the second varsity and first varsity eights, each of which saw them win by roughly a length. Here's what Mike Teti had to say about it all after the racing was in the books. Meanwhile, on the women's side, California continued their excellent run in what is arguably the deepest conference in the country (not just an opinion—the only conference with five teams representing at the NCAA Rowing Championships coming up in a little less than two weeks), winning all three NCAA events, and placing second in the third varsity eight. As has been the case with every one of Al Acosta's teams in recent memory (both as Stanford Lightweights head coach and now leading the Cal Bears), the squad stepped up when it mattered most, earning a comeback victory in the varsity eight against a very strong Stanford crew—the only crew to beat the Bears so far this season. 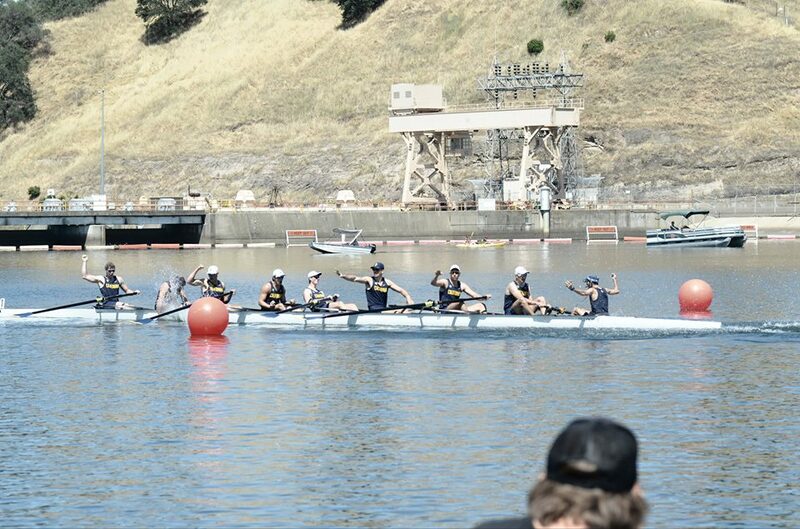 For complete results from the Pac-12 Rowing Championships, click here. And, check out our photo gallery via our Facebook page. What does it all mean for the upcoming championships? We've got some thoughts on the matter, which we'll post in the coming week as the country gears up to crown its national champions. Keep it locked!